User ID Security Permissions/Rights: This is the configuration for User Security. Administrator: “Administrator” indicates the level of security this user will have. 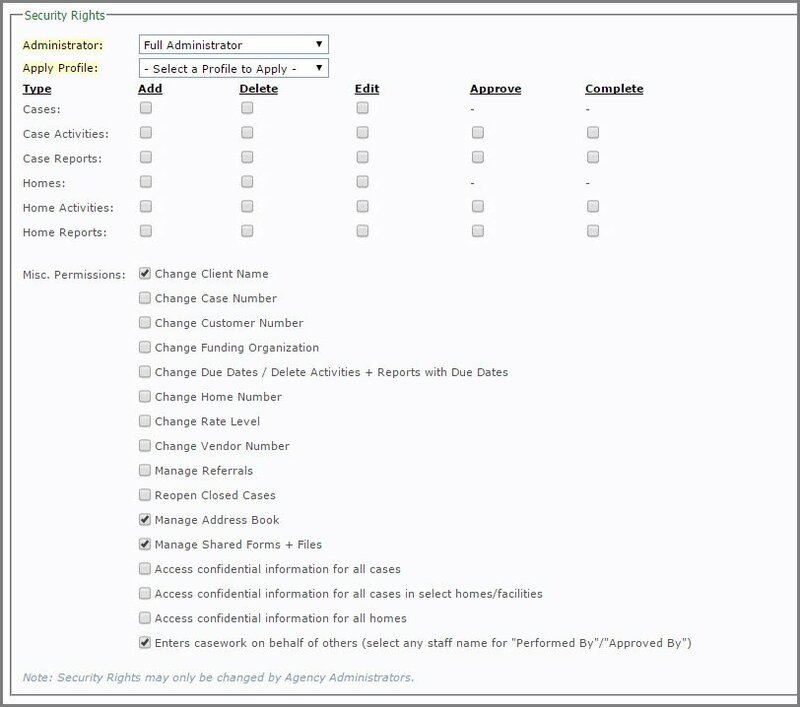 This option indicates the user has no access to any administrative functions (security, billing, forms, staff, shared access). You can select a profile for this user, which will then auto-populate the roles that user will perform. 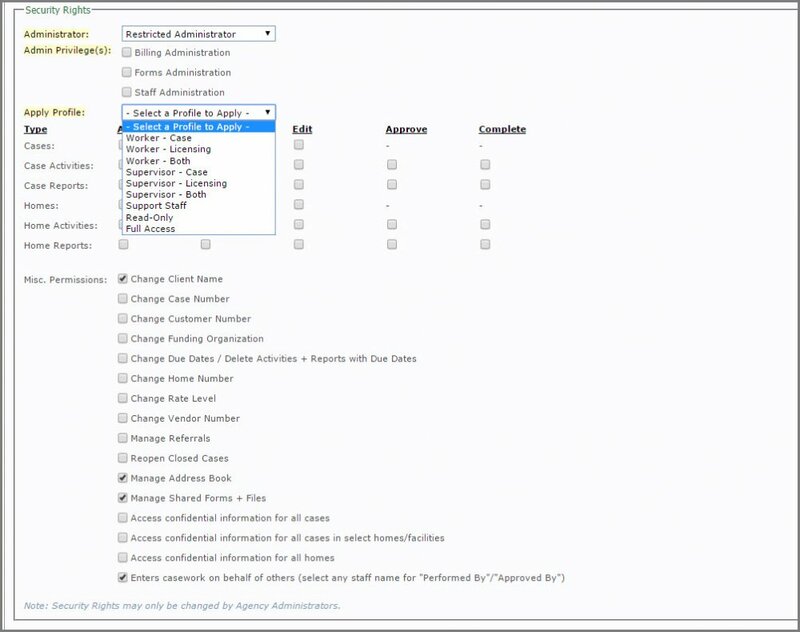 You are able to then adjust the selections by checking or un-checking roles. 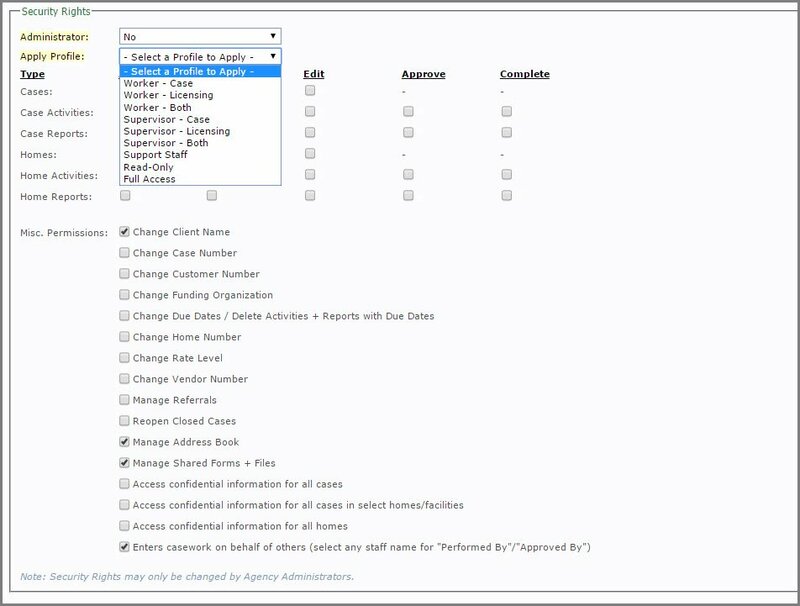 You are also able to adjust “Miscellaneous Permissions” for the user you are adding, if you wish. Enters casework on behalf of others (select any staff name for “Performed By”/“Approved By”) (ability to select someone other than their own name when clicking Submit/Complete) Click here for more details. 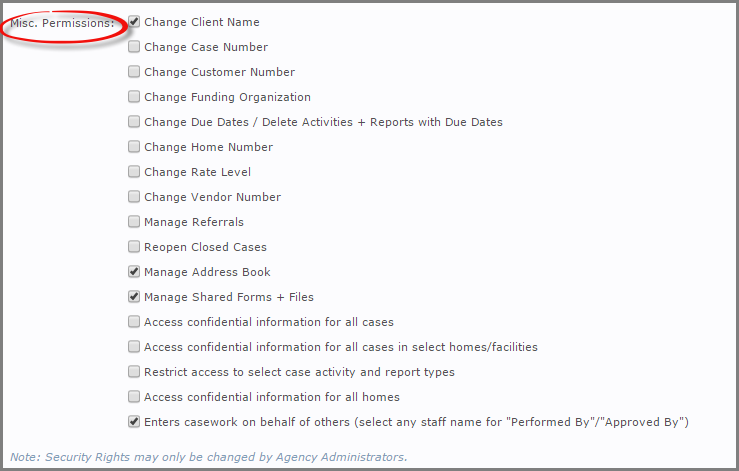 The above option restricts the ability for workers and supervisors not associated with the case/home (or a particular activity/report) from viewing details about the contents of activities/reports.